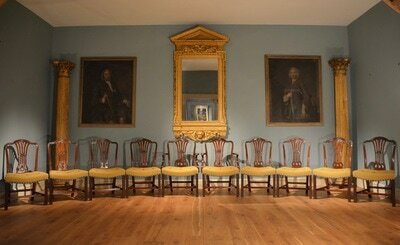 A fine set of George III mahogany dining chars comprised of 2 armchairs and 8 single chairs. 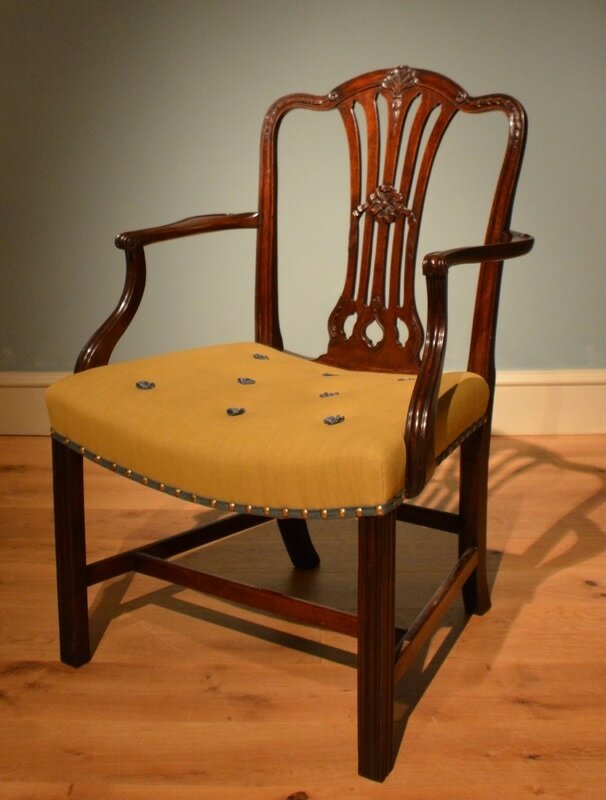 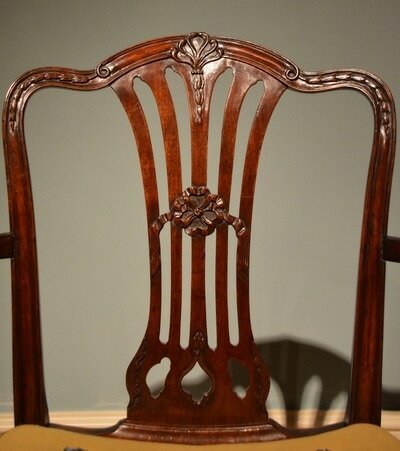 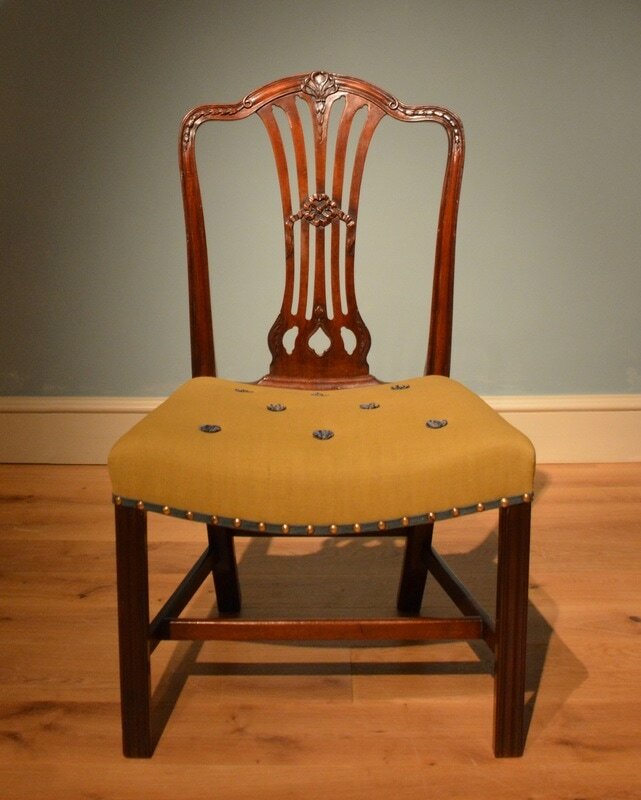 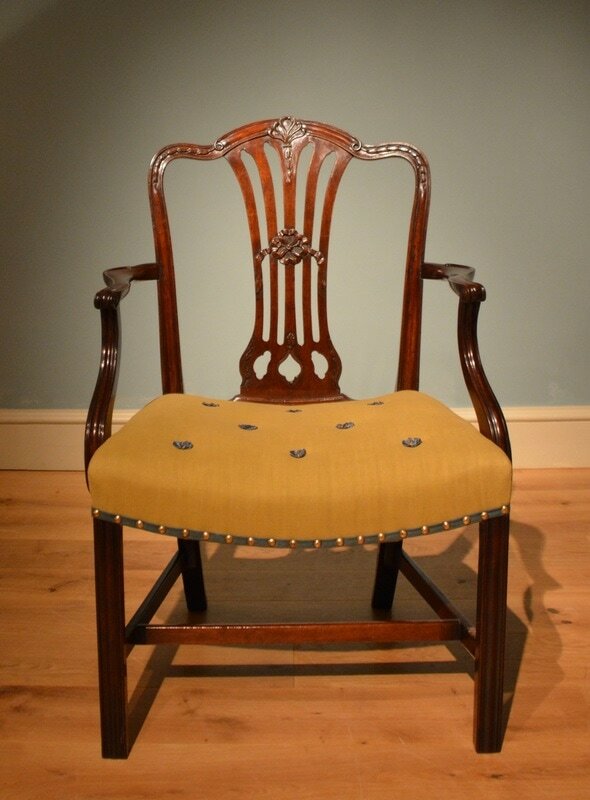 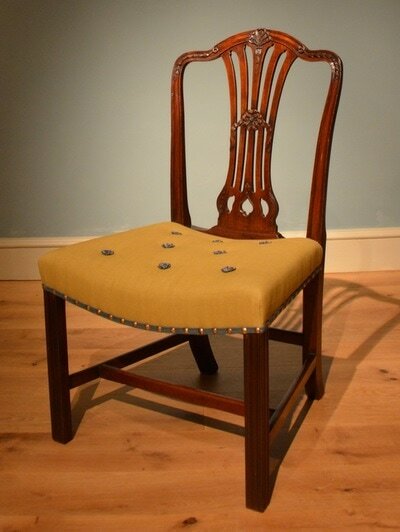 The finely carved backs having pierced splats above saddle shaped upholstered seats with moulded front legs. 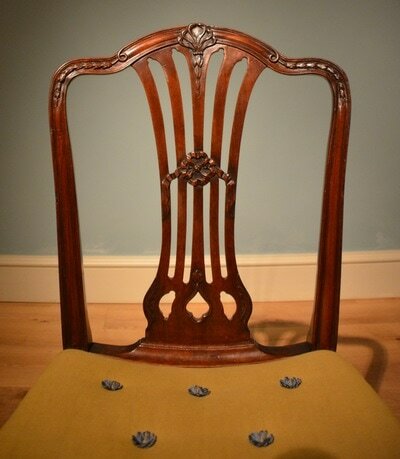 Height 38" Width 26" Depth 23" Seat height 18"